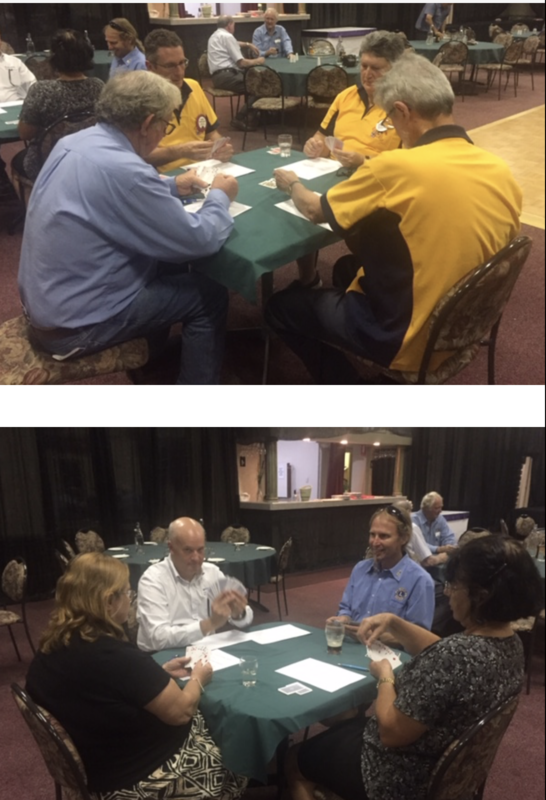 Last Monday was our Annual combined meeting with Lions and a great opportunity for Rotarians to network with other Community minded people. A shame that Lions outnumbered Rotarians two to one. Thanks to Julia for organising the evening and Morwenna for organising the Whist. 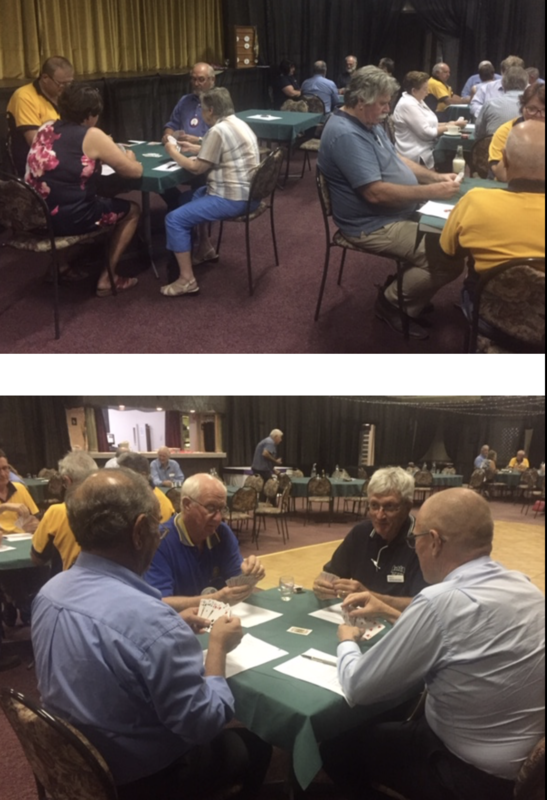 As the tables rotated each hand, it was a great way to meet others and the games were very social. See pictures below. This coming Monday evening is a partners evening and our guest speaker is Sally Venn Brown who is the Governor of District 22 of the Zonta Club. 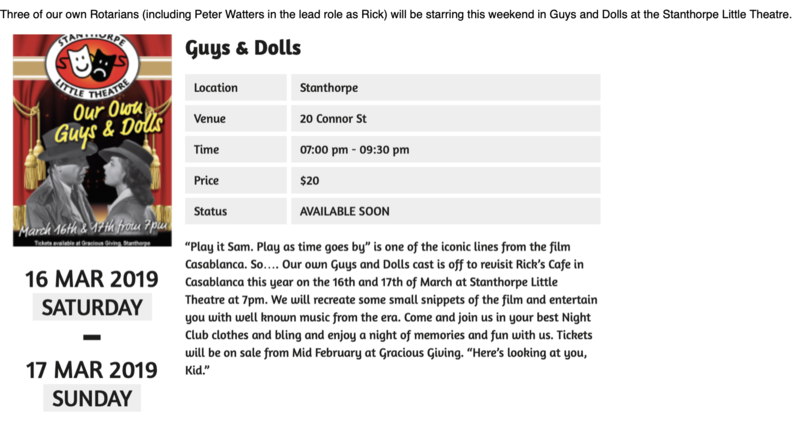 Sally is also a member of the local Stanthorpe Zonta group. The charter of Zonta is to make a difference to the lives of women and girls around the world and in our local community. Please bring your partner or a friend and let Julie know numbers for meals. Julie is still looking for some Meals on Wheels volunteers for this coming week. Jim Barnes has secured the site outside the old ANZ bank for siting the Men's Health van and will soon be looking for volunteers to staff the reception desk- more later. Friday 29th at 11am is the time set down for Rotarian Janelle Bell to have all her hair shaved in the cause of raising money for leukaemia research and the event will take place outside Price Attack. Alec is running a sausage sizzle to coincide with this and raise a few extra funds but you can help by going direct to Janelle's site and donating to her cause. So far she is about a quarter of the way to her target of $2000 so she needs your help. 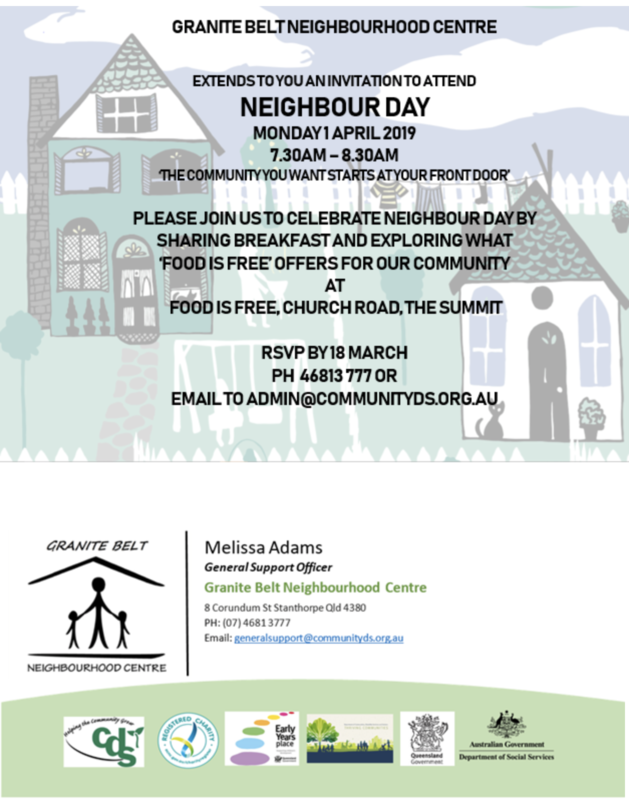 Instead of meeting at our usual time on Monday 1st April we are planning to go to the Neighbourhood breakfast at Church Rd the Summit at 7.30am. Food is free but it has been suggested that we pay $10 and donate this to the Neighbourhood Centre. Let Julie know your intentions this Monday night please.See poster below for more details. Alec is taking a truck to Brisbane Monday 26th March to pickup a donated rowing boat for the local club so he has arranged with John Paskins to take a load of desks etc to DIK. Some help will be required this week to load the truck please- more at Monday's meeting. There is a Board meeting Tuesday evening 19th March at 5.30 at the RSL and an Opera Meeting 5.30 Thursday 21st also at the RSL. Today, 35 people just got told they have blood cancer. Tomorrow, another 35 will face the same news. I am being brave and shaving next week as part of World's Greatest Shave. 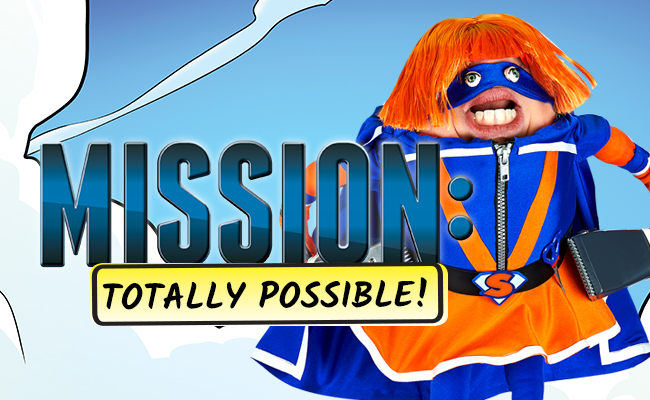 You can help me on my mission to shave the world from blood cancer by donating to my page. Every donation I receive gives me hope that researchers will get one step closer to a cure. Most people like to give around $53, which can do wonderful things like contribute to the work of a PhD scholarship recipient. But you can give any amount and it will make a difference. Weekly giggle....... You're not fat. You're just easier to see!